RESCHEDULED DUE TO RAIN: Mark your calendars for November 3rd. 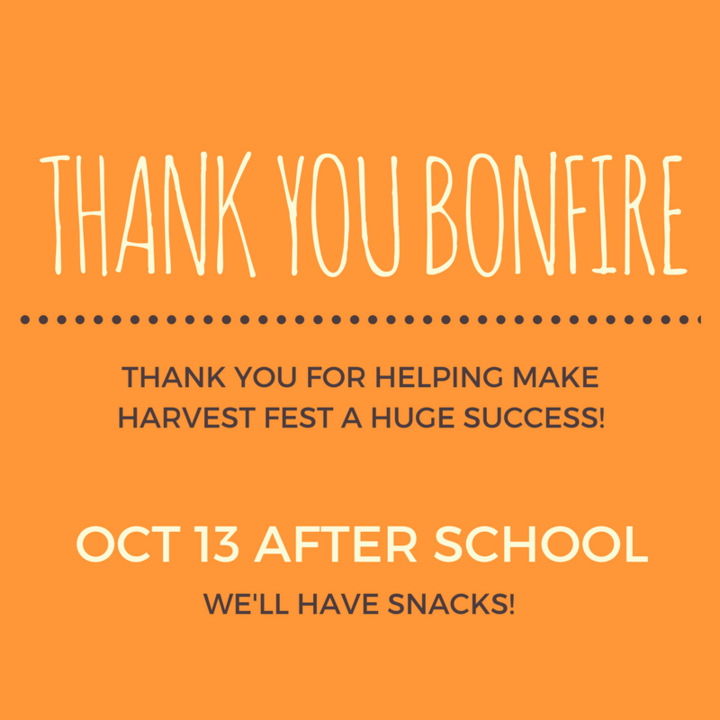 We welcome all to join PABC’s Thank You Bonfire on Friday, 11/3 immediately following the end of the school day. Hope to see you at the fire pit!